During the past year, there has been much media coverage of words spoken by both Rev. Jeremiah Wright and Rush Limbaugh. 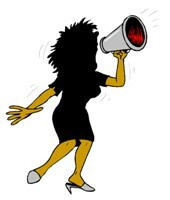 The reports in the media incite as much hoopla as the individual comments of the men themselves. When the media gets a hold of something, they do what my grandmother used to refer to as "run it in the ground". What is often lost to the general public is that the media is making much money by "running in the ground" the words of Jeremiah Wright and Rush Limbaugh. When a report or story is run on these men, ears perk up and people pay attention because they want to hear what Rev. Wright or Mr. Limbaugh are "up to now". For all the hoopla over what these men say, no one is reminding US citizens that they each have a right to say what they want. No one has to like what either Rev. Wright or Mr. Limbaugh says. Anyone who vehemently disagrees with a position of either one or both of these two men are free to turn a deaf ear. (Refuse to invite or attend a Rev. Wright speaking engagement; not listen to Mr. Limbaugh on the radio.) So why is there all the hoopla? Other than the money that the media is making by reporting on these men, I believe the underlying element is fear. There are many people who are afraid of Jeremiah Wright and/or Rush Limbaugh. They are afraid of their influence. People want to hear Rev. Wright speak. That is why he continues to get speaking invitations. People want t o hear Rush Limbaugh on the radio. He enjoys high ratings. By speaking their minds, Rev. Wright and Mr. Limbaugh cause people to think. When people begin to think for themselves, there is a possibility that the thoughts that they think are not the thoughts that elected officials, political party operatives and political strategists want people to think. Independent thought does not make a politician's job easier. It makes it harder. It is more difficult to lie to people when they start to think for themselves. It is more difficult to control the actions of people when they begin to think for themselves. However inconvenient, freedom of speech is a part of what sets America apart from other nations. I would think that people in other countries around the world marvel at the freedoms that we have here in America. I also wonder when they look at us, whether or not they do so with a little envy. Rev. Wright and Rush Limbaugh should keep speaking their minds whether or not anyone agrees with them. The fact that they are taking advantage of a right in America that is not allowed everywhere in the world is good. 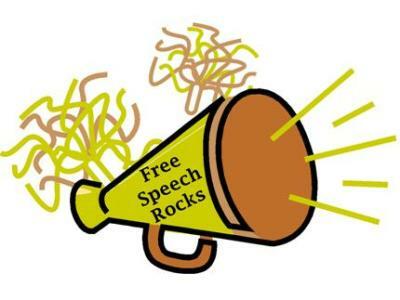 Free speech rocks! Rev. Jeremiah Wright and Rush Limbaugh rock it. Rock on!